Watch Paul McCartney Perform ‘I Saw Her Standing There’ With Dave Grohl in London – Good Music. Good Life. 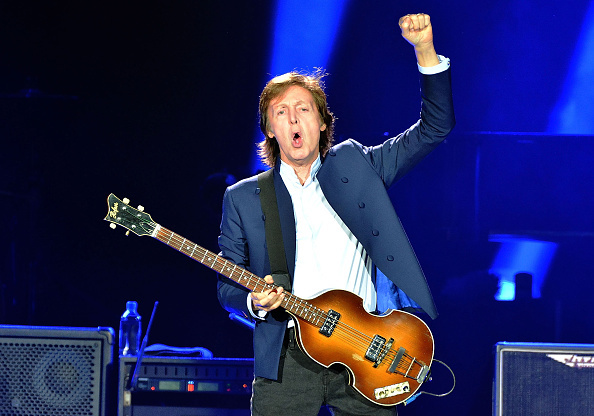 Beatles legend Paul McCartney had two big surprises in store for fans at his London gig Saturday night. During the concert at London’s O2 Arena, Foo Fighters front man Dave Grohl made an appearance onstage and the pair performed the Beatles classic “I Saw Her Standing There,” reports Rolling Stone. But the biggest surprise of the night was when McCartney performed “Temporary Secretary” from his album McCartney II for the first time ever. The track, which Rolling Stone dubbed “one of 12 weirdest Paul McCartney songs,” had never been played live since its release 35 years ago.